The Big 3 – Why not praise people for behaving safely? Why not praise people for behaving safely? In my previous Big 3 Blogs I discussed how we encourage people behaving safely through attitude and behavior (Big 3 Number One) and then whether punishment is actually effective (Big 3 Number Two). 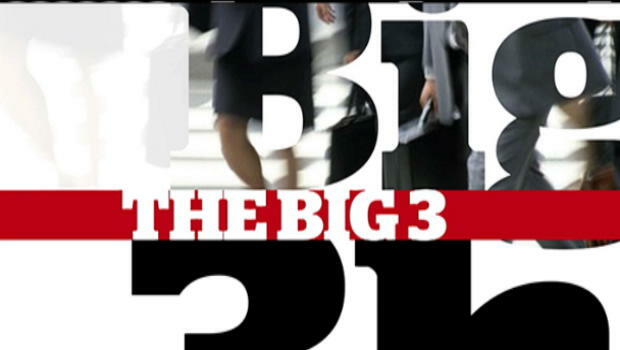 The ‘BIG 3”: How do we stop people behaving unsafely? 1. Why not change people’s attitudes? 2. Why not punish people until they behave safely? 3. Why not praise people for behaving safely? How line management can ensure that the reinforcers for working safely outweigh those for working unsafely. It is a fact that most people tend to respond more to praise and social approval than any other factor. Think if you will, of people smoking their first cigarette. This normally occurs during the teenage years because it is seen as the 'thing' to do. Although the cigarette smoke may taste foul and cause severe coughing, people will continue to suffer the discomfort, if the cigarette smoking behaviour meets with their peer group's approval. Likewise, some people may not use PPE or follow a procedure at work because of their colleague’s disapproval; e.g. it goes against the workgroup's macho image. It makes sense, therefore, to make use of this phenomenon and praise people for behaving safely (something very rarely done) to bring about the required changes (incentive and reward schemes reflect this principle). Crucially, the effect of this is to explicitly link the desired safe behaviour to the praise received. Once the required behaviour pattern starts to become established, the timing and frequency of the praise and social approval can be reduced over a period of time; i.e. it doesn't need to be given immediately and every single time that someone is seen to be behaving safely. Additional benefits include the strengthening of a positive safety culture due to increased trust and confidence between line managers and the workforce. Thus, positive praise coupled with constructive feedback, tends to eliminate unsafe behaviour. Focusing on people's safety behaviour will bring about the desired changes and that attitude changes follow behavioural changes. Social approval and encouragement can bring about positive changes in safety 'norms'. The workforce is best placed to redefine their safety 'norms, as they control their own behaviour. It follows, therefore, that any safety improvement initiative which relies almost exclusively on line management's efforts, is less likely to be as successful as one that empowers and enables the workforce itself. Accordingly, behavioural safety approaches are very much driven and shaped by the workforce, in conjunction with line management. In this way, the workforce is given responsibility and authority for identifying, defining and monitoring their own safe and unsafe behaviours, as well as setting their own 'safety improvement' targets. As a result, workgroups are able to redefine their own safety related 'norms' in an enabling atmosphere. Line management facilitate this process by providing the necessary resources and support to encourage 'employee ownership of safety', while also stressing that no individual will be identified or disciplined as a result of the monitoring. In this way, a 'blame free' pro-active safety culture is created that is so vital for long-term success. Greater individual acceptance of responsibility for safety. Thus, Behavioural Safety has a lot to offer to the world of work, although it must be stressed that it is not a panacea to cure all ills. If your organisation needs some more advice on how praise can positively impact safety behaviours contact us on 0800 023 789 or email info@allaboutpeople.co.nz.